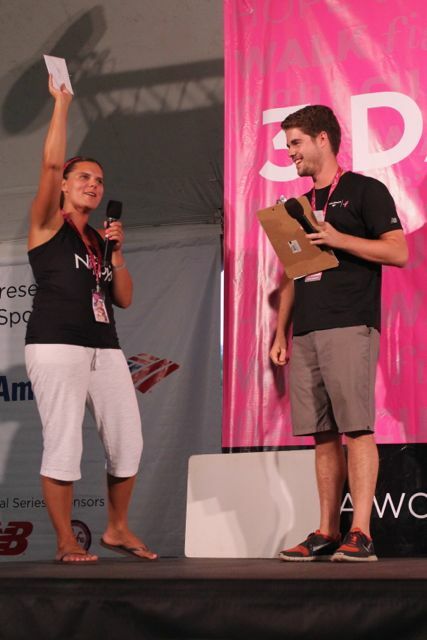 Congratulations to the Twin Cities 3-Day Top Fundraisers! Today marked Day 1 of the Susan G. Komen 3-Day® in Twin Cities , and walkers and crew enjoyed Minnesota’s lush green landscape at scenic spots like the Lake Harriet band shell, the Minneapolis Sculpture Garden, and B.H. Nelson Park. 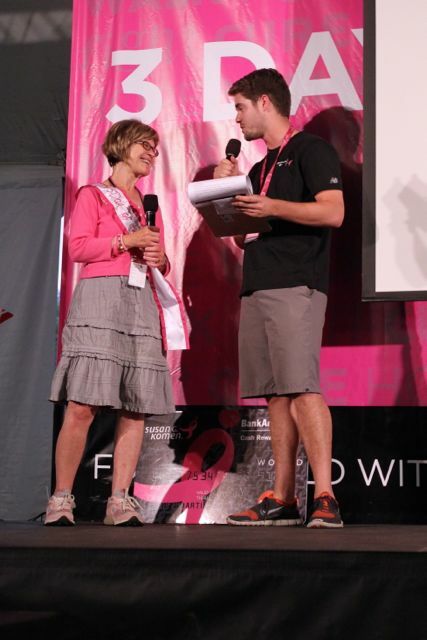 Upon arrival at the Komen 3-Day camp, participants enjoyed new camp elements that premiered last weekend in Michigan, like a make-your-own trail mix bar, and cozy bean bags and foot rests. The 3-Day® camp show wrapped up a beautiful day, and our friends from Bank of America helped us recognize the top fundraisers for the Twin Cities 3-Day. Please join us in saying congratulations to these inspiring people! This is the Northern Nippys’ sixth year at the 3-Day, and in that time they’ve raised an incredible $184,195 total. The 2014 Northern Nippys team has 33 members. Hats off to Sharon Gruenhagen who raised $4,650; and has raised $21,963 lifetime total. This is Sharon’s 7th event as a crew member in Twin Cities; she is part of the Sweep team this year. Top Crew Fundraiser Sharon G.
Patricia Miller raised $14,000 this year; and has raised an astonishing $70,739 in the six years and six events she has completed. Patricia lost her mother to breast cancer 60 years ago when she was just 5 years old. She walks today because she wants to help others who fight this disease. 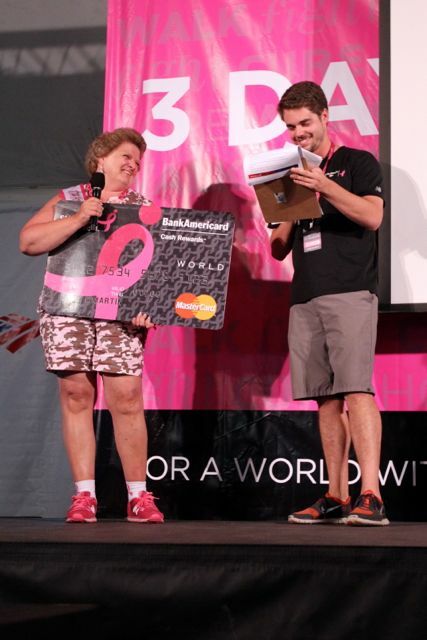 Top Individual Fundraiser Patricia M.
We’re so grateful to these amazing participants and for all of you who take steps every day to help us end breast cancer forever. To learn more about the top individual, Crew and team fundraisers in Twin Cities, as well as our eight series walkers, check out the framed table-top displays in the dining tent in camp.